Star Ace Toys has posted the official product page for their Real Master Series – Supergirl CW TV Series 1/8 Scale Figure. She joins previous figures, such as Martian Manhunter, Green Arrow, and The Flash. The figure will stand just under 8.9″ tall, with over 26 points of articulation. Supergirl includes a fabric outfit, multiple interchangeable hands, Kryptonite handcuffs, an orange crystal with a display stand based on the Fortress of Solitude. Along with the photos is a new group shot, which shows numerous upcoming CW TV Series figures. Those include Superman, Deathstroke, Reverse Flash, and Zoom. » Continue Reading. 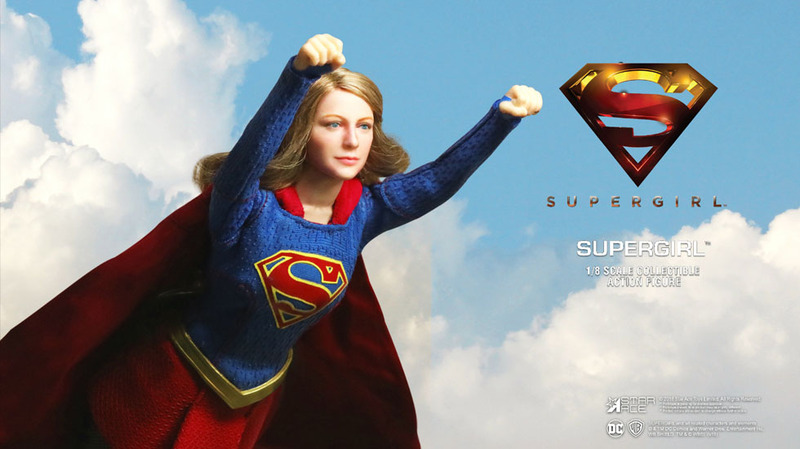 The post Supergirl TV Series 1/8 Scale Figure by Star Ace Toys appeared first on The Toyark – News.